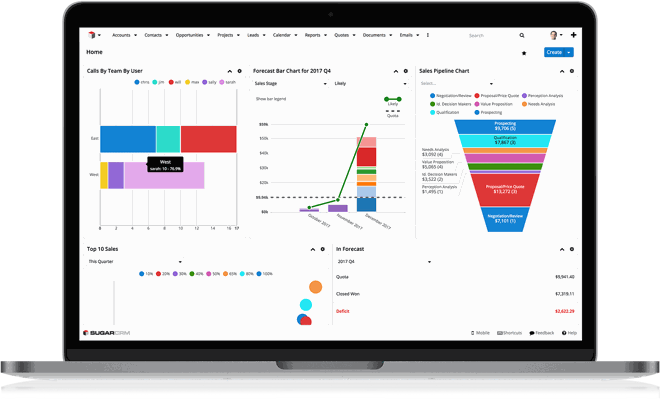 SugarCRM software can optimize customer relationships and help you increase your company's profitability and productivity. SugarCRM offers many features: sales management, marketing management, customer support and helps companies win more business. The data is visible through your dashboards, graphs, reports that can be customized. SugarCRM's interface is easy and pleasant to use. SugarCRM software is suitable for all companies that want to increase their profitability. The software can be customized to meet the needs of any company.